The table re-do is adorable especially with Annie Sloan's chalk paint! to a piece de resistance! the stained top gives it such a warm glow! It's a shapely little piece of heaven! she got her inspiration from a Pinterest challenge! I have the perfect sweater also found at Club GW! they even share a "how to"! showcases some of my daughter's past addresses! Hope these beauties inspire you to create! 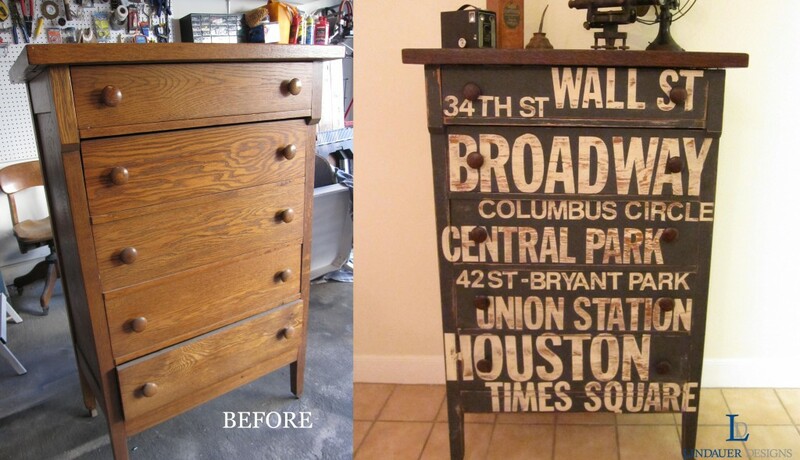 Thank you for featuring my dresser, Claire! Love the inspiration from your blog. Thanks so much for featuring my table. How amazingly sweet of you! ...and I'm completely SMITTEN with that subway dresser. It's amazing! Thank you for featuring our subway dresser!